IN a market saturated with throwbacks to the past, it can be daunting to find a vintage reissue timepiece that checks all the right boxes. The watch must not only pay proper tribute to the original that it draws inspiration from, but also come with the necessary appointments that properly update it for the contemporary wearer. 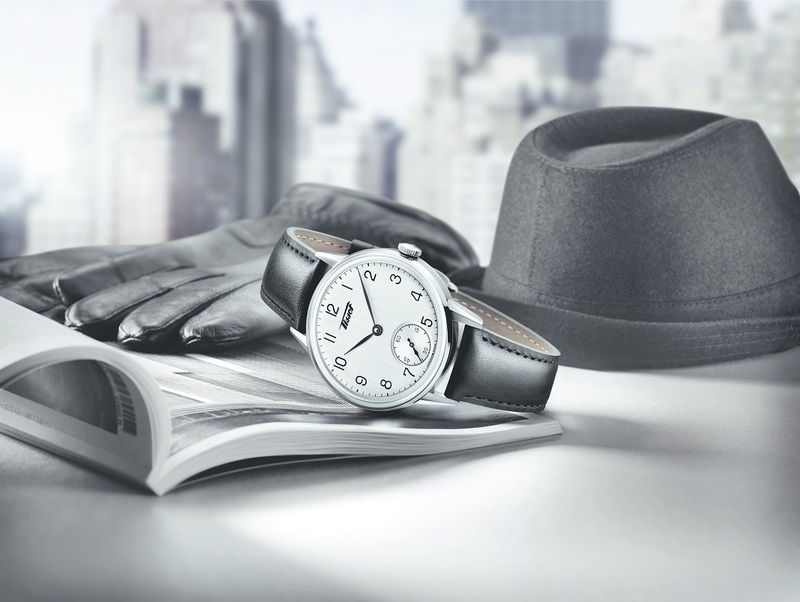 Tissot’s Heritage Petite Seconde is a sterling example of such a watch done right. It harks back to a wristwatch that the brand introduced in 1943. This watch was part of Tissot’s Antimagnétique collection, and was among the world’s first antimagnetic timepieces. The Heritage Petite Seconde’s design largely mirrors the original’s, and exudes a quiet confidence with its understated elegance. Note the silver domed dial, which comes vertically brushed and emblazoned with the Tissot signature used in that era. Large Arabic numeral indices, a simple chapter ring, and leaf hands add to the dial’s sophisticated air, while the box-shaped crystal completes the package. Despite having a classic design, the Heritage Petite Seconde does sport modern features befitting a watch of this era. For a start, it’s sized at a contemporary 42mm for today’s wearer. The crystal, too, has been updated to sapphire for far greater scratch resistance. Finally, there’s the new transparent case back that allows the movement within to be observed. Powering the timepiece is ETA’s 6498-1 calibre, which beats at a leisurely 18,000vph. At 16½ lignes (or around 37mm), this manually-wound pocket watch movement is large, which perfectly suits its case size; the small seconds sub-dial sits right at the edge of the dial, which gives the watch a balanced aesthetic. In the Heritage Petite Seconde, Tissot has crafted yet another winner that combines timeless design with priceless reliability. The watch is perfect both as the first watch for a gentleman who’s looking to venture into horology, and as an addition to a collection, however fully fledged it may be. Visit tissotwatches.com for more information, and find out where to buy one at store.tissotwatches.com.